Welcome to Higher Law, our weekly briefing on all things cannabis. I'm Cheryl Miller, reporting for Law.com from Sacramento, where I am unindicted and only conspiring to bring you the best and latest in marijuana law news. This week we look at two issues that continue to bedevil companies—and the vendors that serve those companies—trying to thrive in state-regulated marijuana markets: the Internal Revenue Service and pot-wary banks. Advocates like to say marijuana prohibition is in its final days, but tell that to the licensed dispensary that still can't open a checking account or is considered a drug-trafficker by the federal Tax Man. Scroll down to go In the Weeds, where we've got more cannabis litigation to report on from California and in Oregon, a judge has dismissed a racketeering complaint brought by neighbors against a grower. Thanks as always for reading. Got a story idea or tip? Do you have the ultimate solutions to the industry's tax and banking challenges? Drop me a line at cmiller@alm.com or call 916-448-2935. Follow me on Twitter at @capitalaccounts. The U.S. Court of Appeals for the Tenth Circuit continues to block Colorado dispensaries' efforts to get the IRS to treat them like any other business. 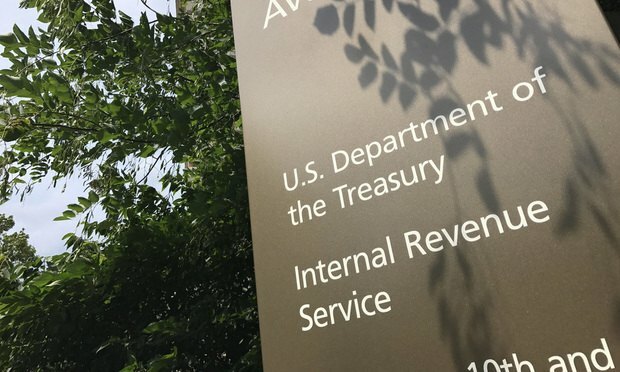 Just last month, a three-judge panel in Alpenglow Botanicals v. United States of America held that a taxpayer does not have to be convicted of a drug crime for the IRS to revoke its ability to deduct marijuana business expenses. The decision follows in the same vein of other circuit rulings—Standing Akimbo v. USA and Green Solution Retail v. USA—siding with the IRS and the agency's ability to seize records from and deny tax deductions to state-authorized marijuana operations. At issue is Section 280E of the Internal Revenue Code, which bars companies from deducting ordinary business expenses if the filer is found to be “trafficking” in Schedule 1 substances. "In this industry we all keep coming back to the same things—banking and 280E," said James Hunt, an attorney with Harris Bricken in Seattle. So what should a state-legal marijuana business do? The father-son owners of Alpenglow Botanicals had to pay a combined $53,000 after the IRS said they had taken impermissible deductions. Hunt says he never advises clients to ignore 280E when filing their returns, a reality he called "very, very hard" and "unfair." Alpenglow "is a serious roadblock to challenging 280E on your returns," Hunt told me. "Going forward we're going to have to manage 280E … If you're in the cannabis business, I think the IRS has made its position very clear." The Colorado firm Thorburn Walker has asked the Tenth Circuit to reconsider the Alpenglow case. Name partner James Thorburn said he could not talk about the case but did not he was encouraged by the court ordering federal tax attorneys to respond to the rehearing request. By now you've heard the story of Florida agricultural commissioner candidate Nikki Fried having her Wells Fargo & Co. bank account closed because she supports medical marijuana—legal in Florida—and her campaign accepts donations from industry lobbyists. On Wednesday the bank responded by saying, essentially, that its hands are tied. Fried isn't the only one having high-profile marijuana trouble. This week Washington state resident Tracy Camp said she was fired from her job at Bank of America because the company learned her husband grows and processes state-licensed marijuana. The bank also closed three of her personal credit cards, she said. And in Missouri, a hemp-product retailer had her business account closed by Great Southern Bank because of "elevated risk" associated with a "marijuana-related business." The bank was unpersuaded by Emily Christianson's arguments about the differences between hemp and the pscyhoactive components of marijuana.. I've written about lawyers with marijuana clients and cannabis-advocacy groups losing their bank accounts. This, however, seems like an unusual rash of bank closures, some for tenuous reasons. If you know what's going on here, drop me a line: cmiller@alm.com. 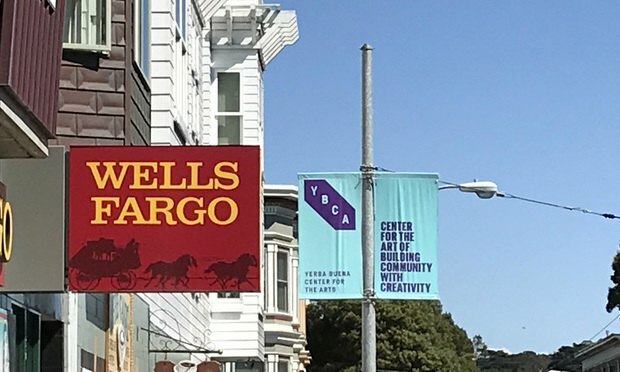 >>> Meanwhile, in California, a bill that would have created a closed-loop banking system for marijuana businesses and their vendors died in committee last week. It's not clear why, although a legislative committee analysis said setting up the limited-charter bank could cost the state $2 million. "This is a serious public safety issue that deserves swift resolution," said the bill's author, Democratic state Sen. Bob Hertzberg. "We've got barrels of cash buried all over the state, businesses being ransacked, and it's clear the federal government won't act." Aug. 24-26: The 2018 U.S. Cannabis Conference & Expo takes place at the Hyatt Regency Miami hotel. Aug. 27: The filing deadline is at 5 p.m. PDT for submitting public comments on California's proposed final cannabis regulations. The Bureau of Cannabis Control will also be holding a public comment event that morning in Sacramento. Aug. 28-29: The Cannabis Science Conference will be held in Portland, Oregon.